The title is significant due to collapse in global sales and Economic depression the number og unsold cars increases day by day .. 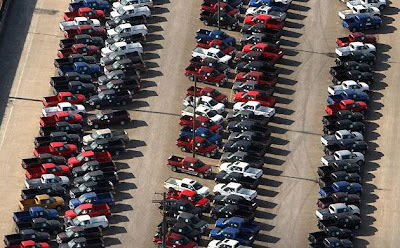 Check out the list of companies with the number of unsold cars by scrolling down . Nissan has announced plans to cut its Sunderland workforce by 1,200. 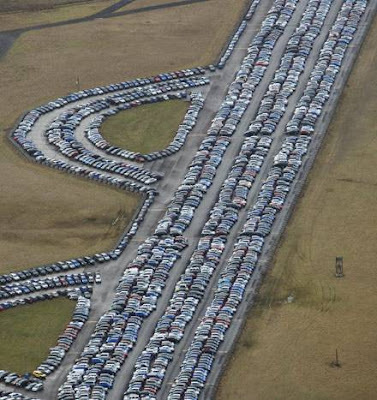 Thousands of unsold cars are stored around the factory's test track. Honda is halting production at its Swindon plant in April and May, extending the two-month closure announced before Christmas to four months. 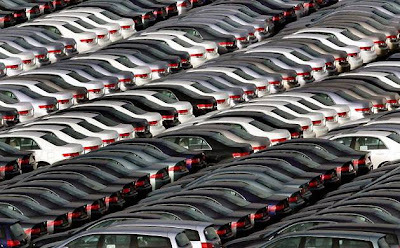 Honda and Japanese rival Toyota are both cutting production in Japan and elsewhere. 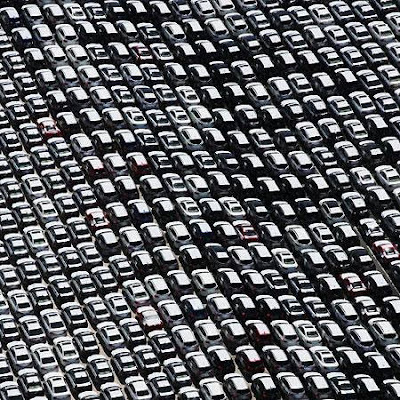 Pictured, Hondas await export at a pier in Tokyo . Earlier this week Jaguar Land Rover said 450 British jobs would go . 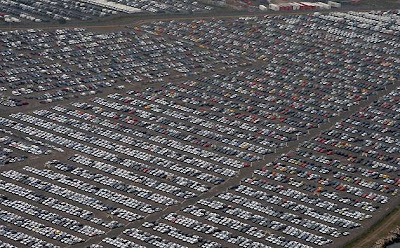 The open car storage areas in Corby , Northamptonshire, are reaching full capacity. 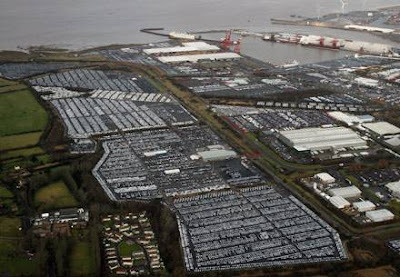 mported cars stored at Sheerness open storage area awaiting delivery to dealers . 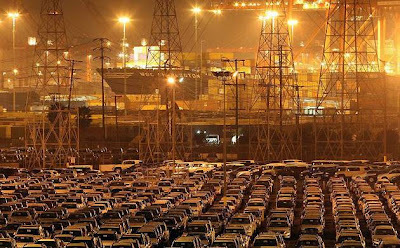 Newly imported cars fill the 150-acre site at the Toyota distribution centre in Long Beach , California . Stocks of Ford trucks in Detroit , Michigan . 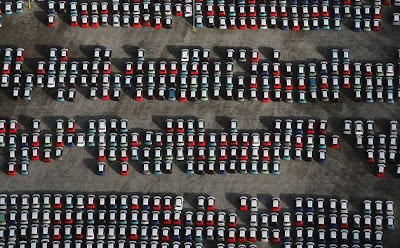 New cars jam the dockside in the port of Valencia in Spain . 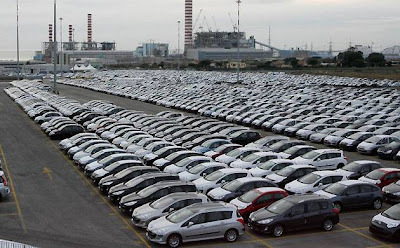 Peugeot cars await shipment to Italian dealers at the port of Civitavecchia. 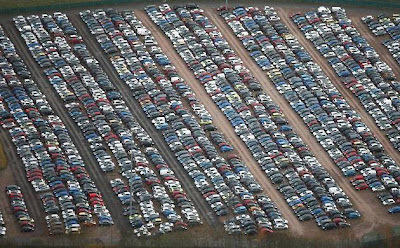 Unsold cars at Avonmouth Docks near Bristol . 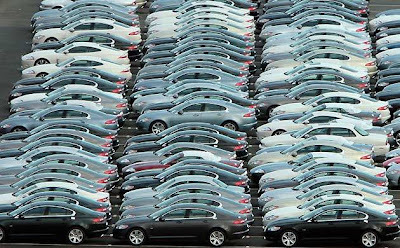 With many manufacturers on extended Christmas shutdown, the number of cars rolling off production lines in December fell 47.5% to just 53,823 . 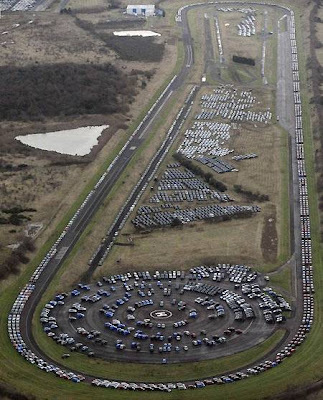 Thousands of new cars are stored on the runway at the disused Upper Heyford airbase near Bicester, Oxfordshire, on December 18, 2008. 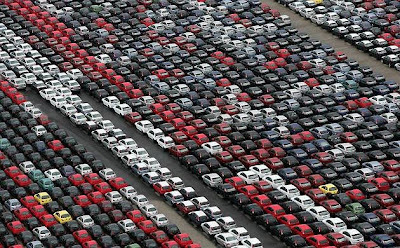 Sales of new cars in the UK have slumped to a 12-year-low and production of cars at Honda in Swindon has been halted for a unprecedented four-month period because of the collapse in global sales and represents the longest continuous halt in production at any UK car plant. 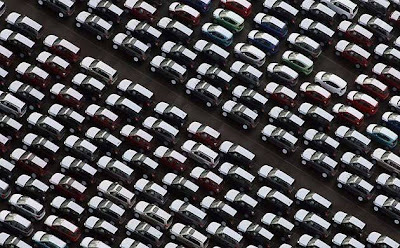 The announcement comes on a day when the EU's Industry Commissioner Guenter Verheugen warned the outlook for the European car industry was 'brutal' and predicted not all European manufacturers would survive the crisis.